Facebook Inc. Chief Executive Officer Mark Zuckerberg met with entrepreneurs and software developers in Nigeria during his first trip to sub-Saharan Africa. Zuckerberg is “learning about the startup ecosystem in Nigeria,” Africa’s most populous country, he said Tuesday in a post on his Facebook page. 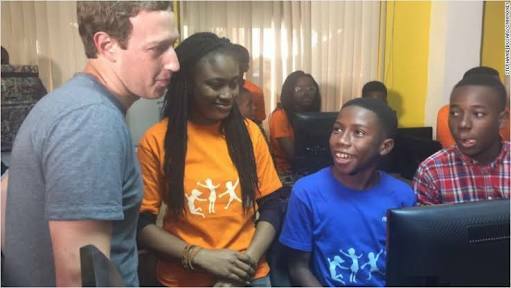 Zuckerberg addressed entrepreneurs at the Co-Creation Hub in the Yaba neighborhood of Lagos, the commercial capital, and spoke about starting a free WiFi network in the city, Taiwo Ayanleye, a business owner who was present during the Facebook CEO’s visit, said by phone.